The colours that can make you smarter and more creative. Seeing red makes people 31% better at detail-oriented tasks like recalling memories or proofreading, research finds. The colour blue, though, makes people more creative — doubling the number of creative ideas they produce. “Previous research linked blue and red to enhanced cognitive performance, but disagreed on which provides the greatest boost. The research involved over 600 people doing six different tasks, some involving detail, others creativity. The tasks were done on computers which displayed either a red or blue background to the task. People did better on the detail-oriented tasks when the background was red. “Thanks to stop signs, emergency vehicles and teachers’ red pens, we associate red with danger, mistakes and caution. Blue encouraged people to be more creative. With a blue background, people produced twice as many creative ideas. “Through associations with the sky, the ocean and water, most people associate blue with openness, peace and tranquility. The benign cues make people feel safe about being creative and exploratory. 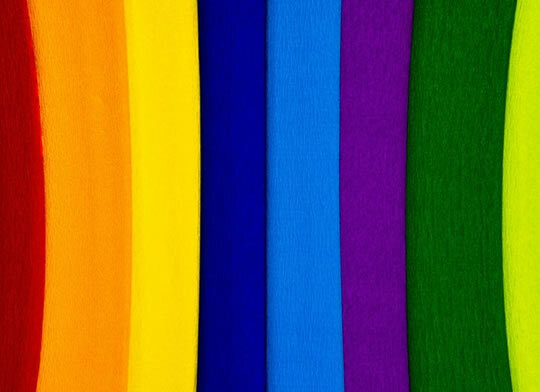 The studies were aimed at seeing how colours could be used in marketing to sell more products. Red helped sell a toothpaste, the researchers found, when negative aspects, like cavity prevention, were emphasised. For more positive, aspirational messages, like tooth whitening, the colour blue helped sell the toothpaste. The study was published in the journal Science (Mehta & Zhu, 2009).